Pre-fragmented ammunition for the 38 Super is a modern take on an old cartridge. Pre fragmented ammunition is not exactly new, but modern prefrag ammo is much more effective than the ammo of yesteryear. 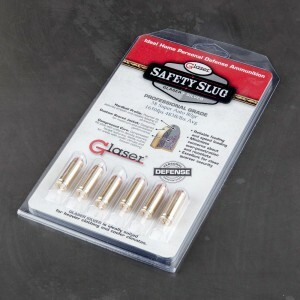 Modern pre fragmented ammo is designed for two purposes. First the ammo is designed to break into small non-lethal pieces when round strikes something after a miss. This prevents some of the risk of dangerous ricochets. Secondly, the round breaks apart on impact with a soft target, creating several small wound channels and preventing over penetration. Pre fragmented ammunition works exceptionally well with high velocity rounds like the 38 super since the fragments retain more velocity when they strike a soft target.